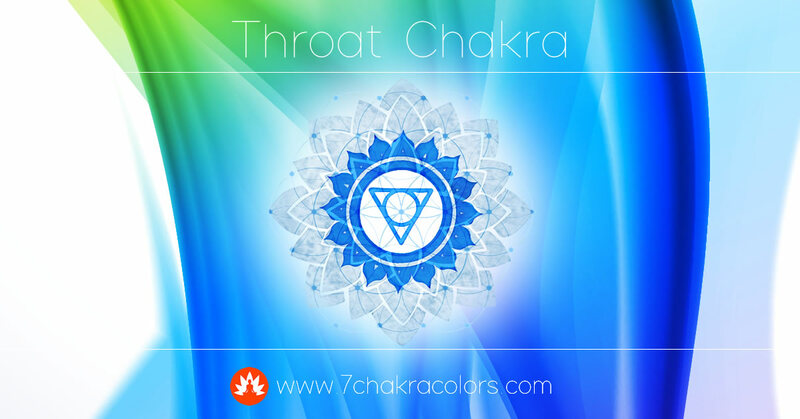 The Throat Chakra represents the transition to the two higher chakras located in the head. It is positioned in the neck, in line with the throat and tasked with keeping the balance between emotions and intellect. It has a significant impact on communication skills. Vishuddha is the energy center of communication, expression, and rationality. Vishuddha, as the center of speech and communication, enables the development of word recognition and comprehension, and the awareness of the dimensions words can assume and reach. People with an exceptionally developed throat chakra communicate with ease, not only verbally, but they are also able to present themselves to others with their entire person. The fifth chakra, which is the connection between the heart and the crown chakra, acts as the link between emotions and reason. Its task is to regulate these two areas. It also calms excessive expressions of intellect and is hence essential for transcending human duality. If we use specific exercises to influence the throat chakra, we can strengthen our acceptance of self, inwardly and outwardly. People with a balanced fifth chakra have no problems with bearing their inner world to others. Throat chakra is animal is White Elephant. Throat chakra is located the area of cervical vertebrae, neck and throat. In relation to other chakras it sits in between the heart and third eye chakra. Vishuddha is therefore a link between emotions and intellect. As such it is very important center which serves to maintain stability in life situations as well as in spiritual practices. Problems connected with the fifth chakra imbalance are mostly connected to the ability of verbal communication and extend even deeper to levels of different blockages of self-expression. On a psychological level, the blockages might manifest as problems with the realization of your ideas, especially if you need to communicate them with others. This can lead to poor social skills and inability to fit and blend-in into various social groups. On a physical level, health problems with throat and neck area indicate the poor functioning of the Vishuddha. This includes various inflammations, sore throat, whiplashes, and neck pain as well as dental health issues. 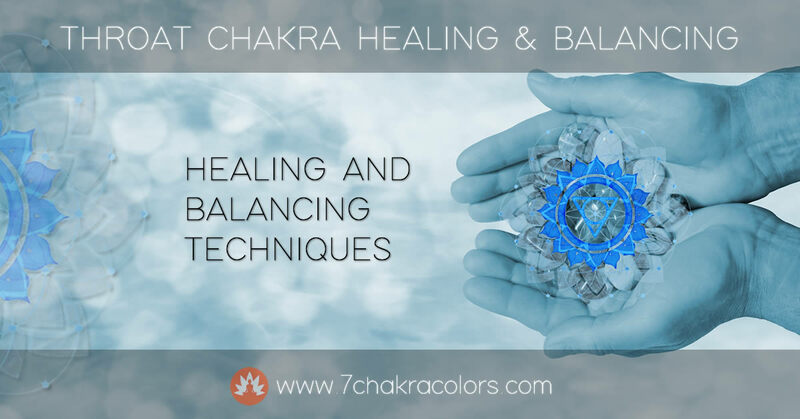 All these issues can be addressed and greatly improved by utilizing a few simple techniques for throat chakra balancing. There are many methods available and most of them are very simple, even for beginners. 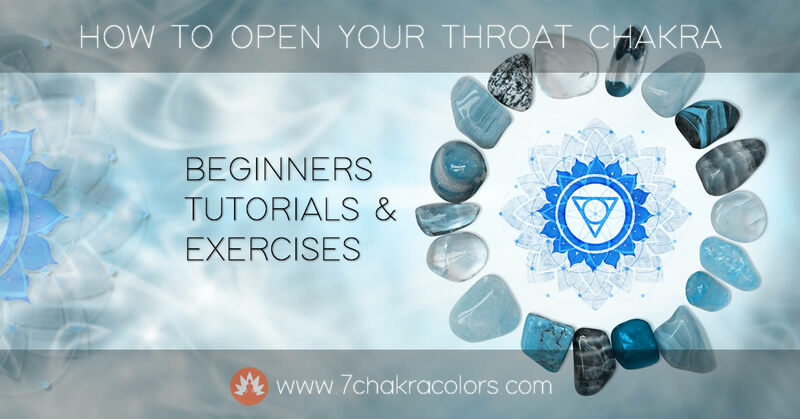 It can take only 10 minutes of practice per day in order to start opening your throat chakra and improving your communication skills and power of expression. 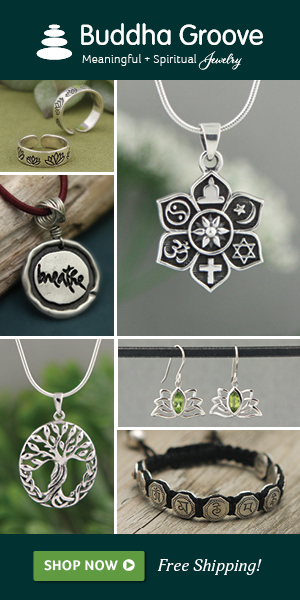 The sixteen-petaled throat chakra rosette is the center of sound and words in a human body. Sounds play a major role in the development of your personality. Pronunciation/chanting of mantras, primal meditational sounds, is still one of the most important yoga techniques. The vibrations that develop in the process awaken and stimulate awareness. The element of the throat chakra is ether, which symbolizes vastness, space, clearing, and purification. The animal symbol of Vishuddha is a white elephant, the riding animal of the most important Vedic deity Indra, the King of the Gods. The symbol of throat chakra is a cross, which indicates a perfect void and silence that need to be transcended to reach enlightenment. A person’s voice can relay information, which is the foundation of verbal, interpersonal communication. Orators, poets, writers, people in the media, even actors and politicians use this immense power of words entirely consciously. But the first condition for them being able to do so is an exceptionally well-developed throat chakra. A well developed and balanced Vishuddha enables and facilitates communication and the command of the language. Consequently, the fifth chakra relates to the ability to learn, concentrate, and to be open to the opinions of others. Only when you can understand and comprehend the words are you able to learn something or take it to heart. That is why it is of particular importance to talk to children and explain your reasoning. Not only will they learn faster but they will also become good at communication and have a better chance at a well-balanced and healthy throat chakra. The throat chakra responds to the sound of the voice, which reveals the entire range of feelings and states of consciousness. If the fifth chakra is too strong, this can manifest as the desire and need for supremacy, manipulation, and dominance. If the throat chakra is too weak, this results in shyness, awkwardness, and fear of conflict. People with a poorly functioning throat chakra lack the courage to express their opinions, and by that, they put the expression of their identity at risk. The meaning of the fifth chakra is closely tied to its role to stand for the truth. you should look into ways how to balance your throat chakra. The thymus gland is responsible for the production of thyroid hormones, which mainly influence the metabolic rate and synthesis of proteins. Saturn is the sixth planet from the Sun. It has a radius of nine Earths. Saturn’s ring consists of nine continuous rings and three arcs, which mainly consist of ice crystals, rock, and dust. Negative spiritual aspects: impetuosity, the need to escape reality, excessive emphasis on intellect, hunger for dominance and adulation.